Vanessa German and friend leading a song at at Ebenezer Baptist Church. Photo by Robert Bailey. There are so many meaningful ways to celebrate and honor the life and spirit of Dr. Martin Luther King, Jr. aaround Pittsburgh this year—and not just on one day. 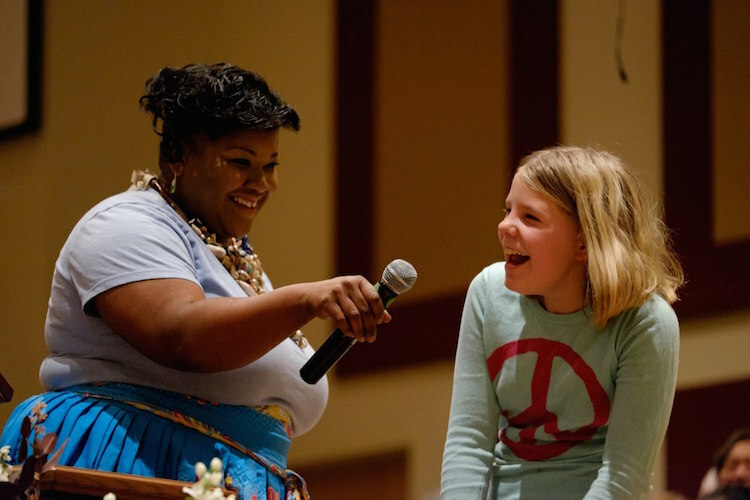 One event not to miss—and offering two convenient locations on two different days—is the special 10th anniversary edition of a cherished local MLK Day tradition. 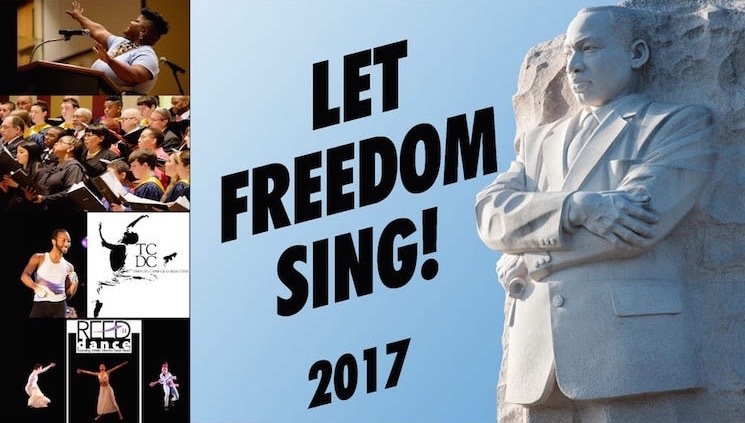 Taking place on Saturday, January 14th at Ebenezer Baptist Church in the Hill District and again on Monday, January 16th at the Byham Theater Downtown, the Let Freedom Sing! concert series embodies the vision and wisdom of the Civil Rights leader through an inspiring program that blends music, oratory and dance. 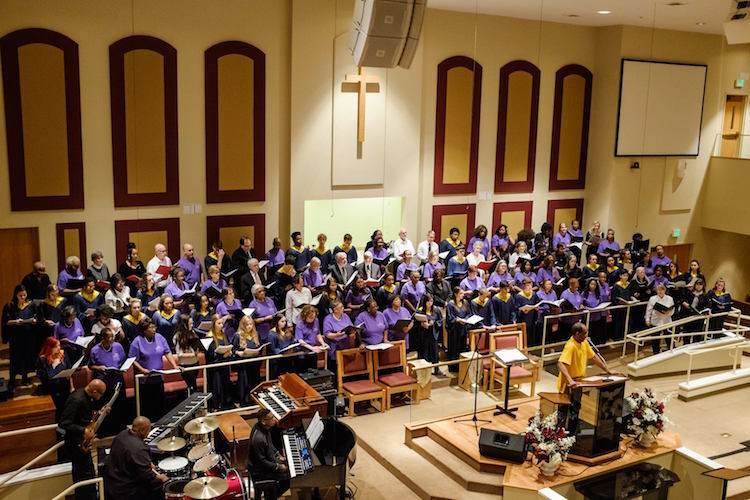 The evening concerts will feature the acclaimed Pittsburgh-based artist Vanessa German, The Heritage Gospel Chorale of Pittsburgh, and the MLK Festival Choir—which includes vocalists young and old from urban and suburban areas, including The Pittsburgh High School for the Creative and Performing Arts, Franklin Regional High School, Heritage Gospel Chorale of Pittsburgh, and more. Showcasing a varied repertoire of works, the production will feature more than 12 musical selections by spoken word artist Vanessa German. The multi-disciplinary concerts will also spotlight the talents of the Trevor C. Dance Collective and Reed Dance II troupe. At the helm of Let Freedom Sing! are co-artistic directors and founders Rev. Dr. Herbert V.R.P. Jones, director of The Heritage Gospel Chorale of Pittsburgh, and Kris Rust, music minister at Allegheny UU Church—who have been collaborating on the landmark event for a decade. Monetary donations for the Greater Pittsburgh Community Food Bank will be accepted at the Ebenezer Baptist Church concert on Saturday. Tickets for the Byham concert on Monday are on sale online or at the theater on the day of the concert.